Crossing Svalbard in the far north of our amazing planet is home to polar bears, frozen landscape and is one of the most unique adventure destinations on the planet. Do you want cover specific Polar training, Polar navigation, defense against Polar bears, sea ice travel? This is the trip for you. Achieving this crossing in the Arctic will leave you wanting more remote and challenging landscapes like Greenland or Antarctica. This journey to the north reaches of the planet, leads you into a world of cold. 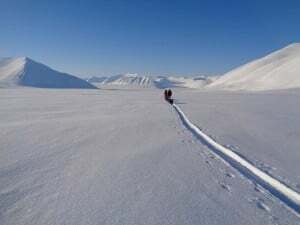 Crossing Svalbard is achieved on ski’s. 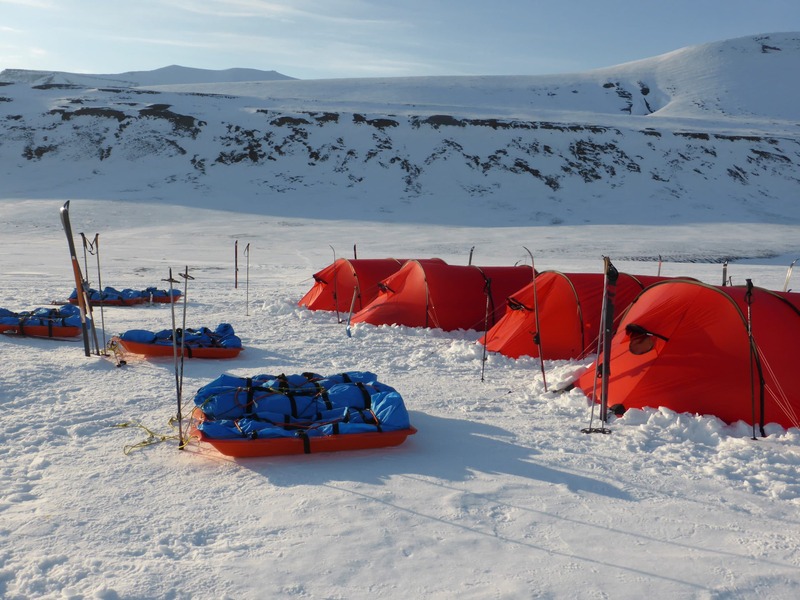 We will be crossing Svalbard pulling all our equipment in bulks, setting in camps on the wild glaciers that cover the whole Island. 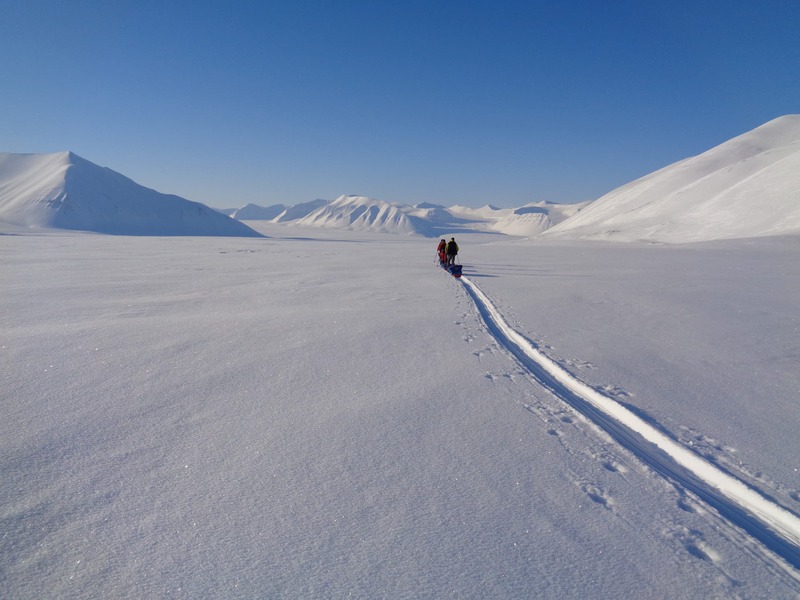 To get the most out of our Svalbard crossing trip, we recommend physical training 4/5 times a week and some previous Nordic skiing is necessary and important. 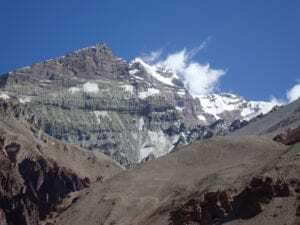 Running, walking in the mountains, walking with a backpack or dragging tires is the best way to prepare for this trip. We can also suggest a training program for you. We have a great team of highly qualified staff, ex-military and special forces to lead the way. 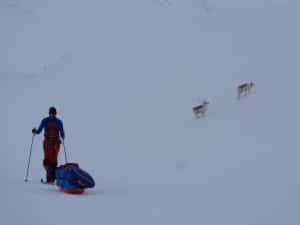 From Oslo in Norway you can fly into Longyearbyen and over night in a local guesthouse for a few nights to sort through gear, food and pulks prepared for the 8 day crossing of Svalbard. 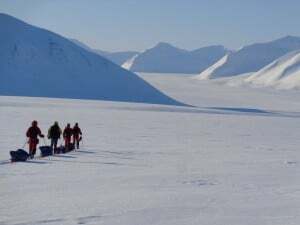 We will also do a training day on the ice near Longyearbyen. Once the team is ready we will move by snowmobile to the start of the skiing route. 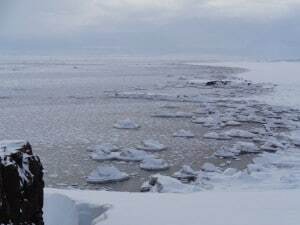 We will cover specific Polar training skills, Polar navigation, defense against Polar bears, sea ice travel, camp craft and camping routines. 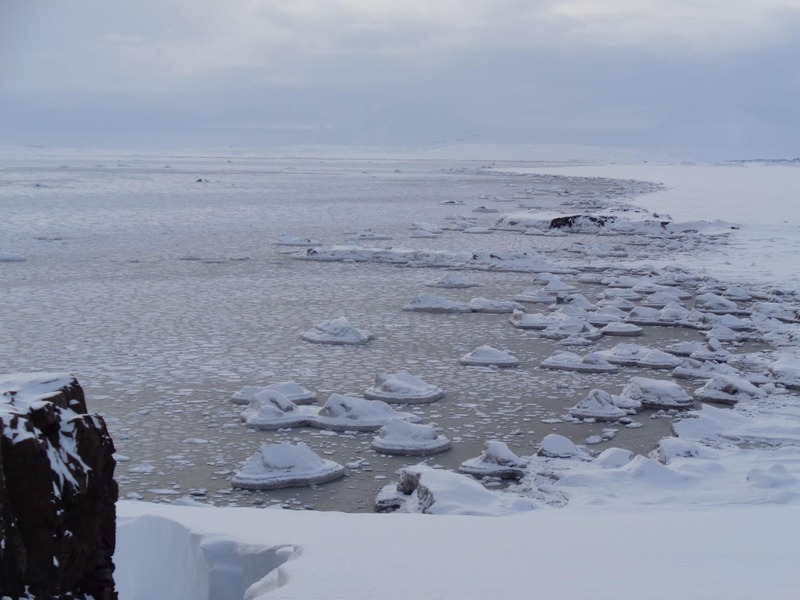 This is an action packed week of Polar travel in one of the world’s remote regions. We will make sure that you are prepared both physically and mentally as well as to make sure that you have trained with and bring the necessary gear and equipment that will make your Svalbard crossing an enjoyable and successful adventure. 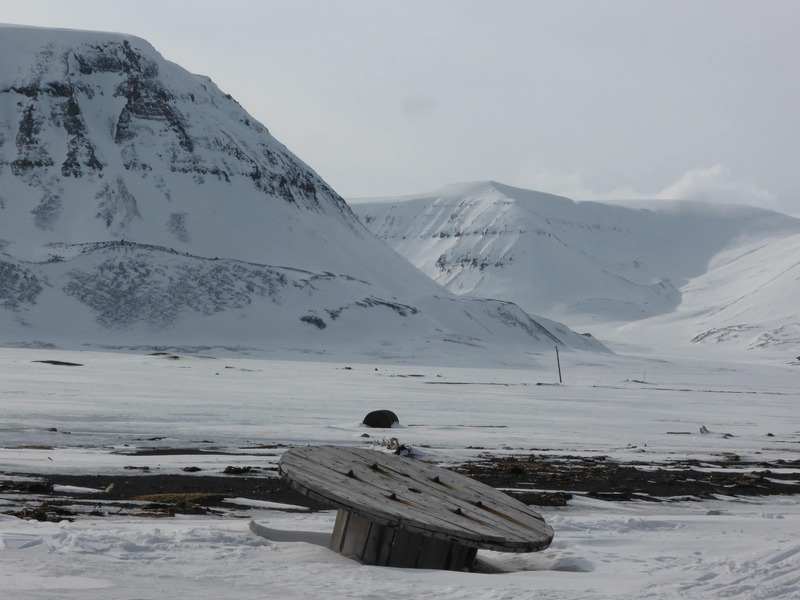 Your experience on the unspoiled Svalbard will help you feel like you are at the end of world. No tourist, trails or life. Possibly some Polar bears. The best time to make this journey is March to May. 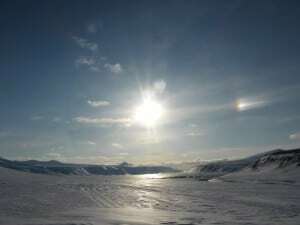 Touring across Svalbard will give you the greatest freedom to see some superb wonders of creation. You will be seals, walrus, arctic foxes, birds and polar bears, while skiing across the marvelous and striking scenery of Svalbard. You should be looking to arrive in Longyearbyen in Svalbard today. There are flights direct from Oslo Gardermoen to Longyearbyen. We can help you get the right flights into Svalbard. Once arriving you will be picked up from the airport and stay at a guesthouse for two nights. 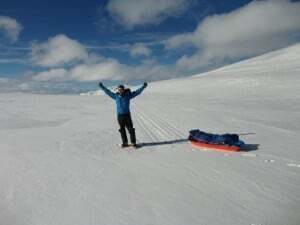 Today is a training day, you can get your ski’s out and warm up the legs for the long crossing of Svalbard. 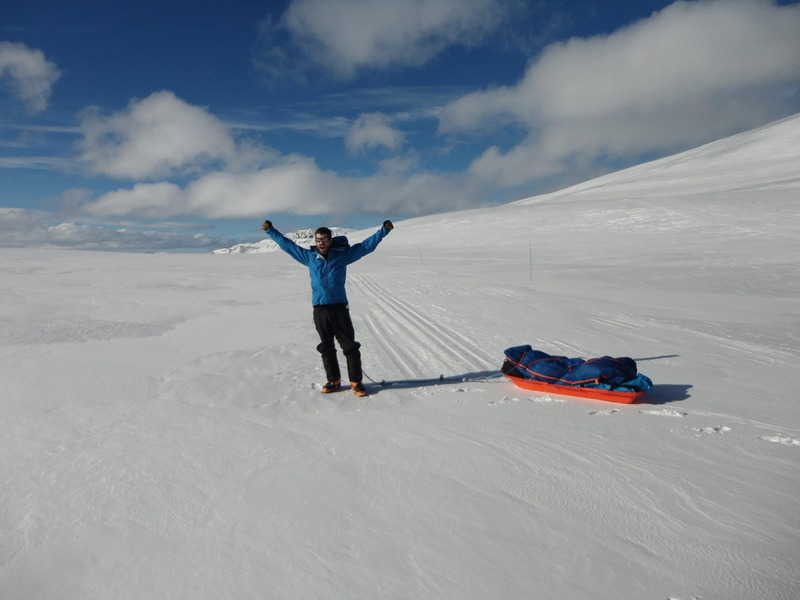 You will also have the chance to go through all your gear, separate group equipment and get your sled/ pulk ready for the following days start on the ski. 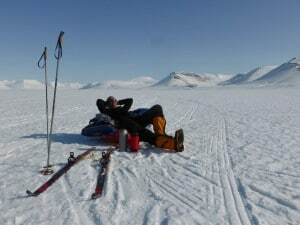 Today is a training day, you can get your ski’s out and warm up the legs for the long crossing of Svalbard. You will also have the chance to go through all your gear, separate group equipment and get your sled/ pulk ready for the following days start on the ski. 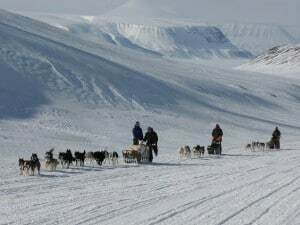 Today will travel to the east coast of Svalbard by snowmobile. Once we arrive on the east coast we are underway. This is it, we are skiing! we start making our way back towards Longyearbyen on the west coast. We will be skiing across Svalbard for the next 7 days. We will help you develop specific winter skills for polar and cold weather travel. We will cover a wide range of techniques used in winter snow travel, helping you become more self sufficient in Polar navigation, polar bear safety, sea ice travel, camp craft and camping routines. 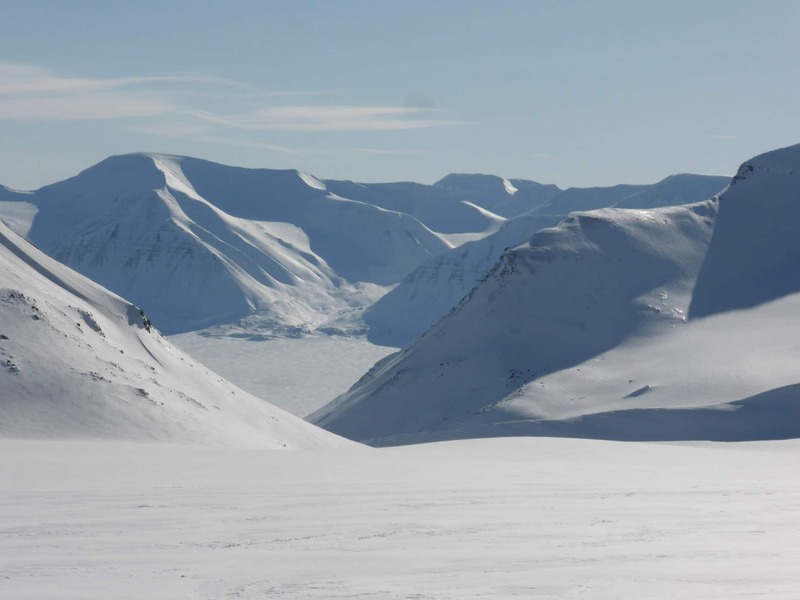 We will be skiing across Svalbard. We will help you develop specific winter skills for polar and cold weather travel. We will cover a wide range of techniques used in winter snow travel, helping you become more self sufficient in Polar navigation, polar bear safety, sea ice travel, camp craft and camping routines. We will be crossing Svalbard. We will help you develop specific winter skills for polar and cold weather travel. We will cover a wide range of techniques used in winter snow travel, helping you become more self sufficient in Polar navigation, polar bear safety, sea ice travel, camp craft and camping routines. 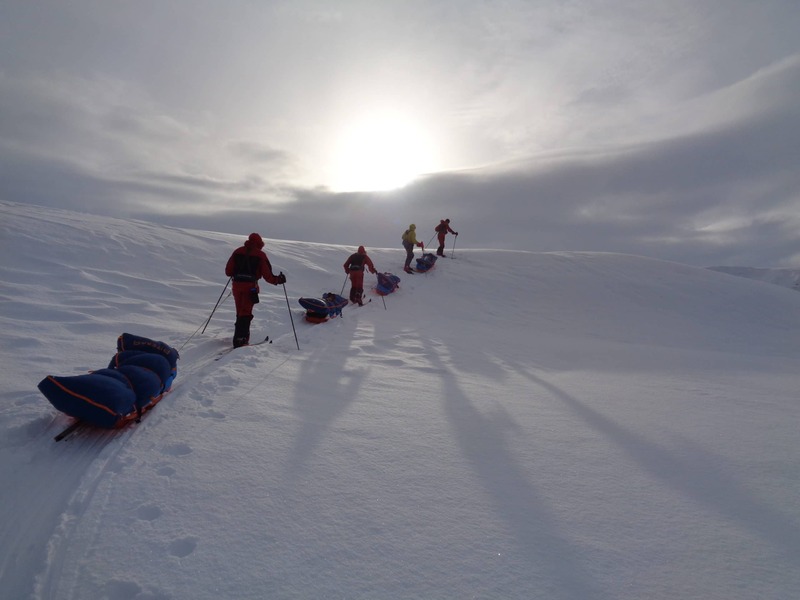 We will be Crossing Svalbard.We will help you develop specific winter skills for polar and cold weather travel. We will cover a wide range of techniques used in winter snow travel, helping you become more self sufficient in Polar navigation, polar bear safety, sea ice travel, camp craft and camping routines. We aim to arrive back in Longyearbyen today. We will sort out all the kit, shower, relax and celebrate our success. We will overnight at the guesthouse in Longyearbyen. Today you will transfer to the airport for your return flight to Olso and onward journey home. Does this information excite you to take the next step towards achieving your goals of crossing Svalbard. If so, get in touch today. We pride ourselves on making sure that our clients have every opportunity to succeed in the mountains, including professional training advice, gear lists and video links on how to pack your bag, and much more. We are always available to answer any questions you may have by email, phone or skype, so contact us today!